The positive figures published by the Society of Motor Manufacturers and Traders showing cars sales in 2012 at record levels have also provided a boost to the manufacture and re-manufacture of honing tools at Cheltenham based Delapena Honing Equipment. In what is seen as generally encouraging news for UK vehicle manufacturers 2012 saw all-time records for vehicle exports with over 1.2 million vehicles leaving the UK and total output reaching the highest level since 2008 at 1.58 million units. With popular UK-built vehicles such as the Ford Fiesta and Ford Focus leading domestic sales this has had a positive effect on the tool manufacturing and refurbishment side of Delapena’s business. Delapena is in a strong position when it comes to the manufacture and refurbishment of honing tools as it is capable of manufacturing to a wide range of OEM specifications, allowing it to provide a service for honing systems other than Delapena’s. 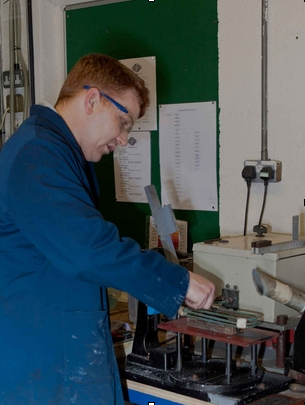 From its manufacturing facility in Cheltenham it is also well placed to provide a rapid turnaround for refurbished honing tools, specifying, supplying and fitting “stones” and can also provide a “deliver-to-line” facility if required, ensuring a seamless service to keep production running for its customers.